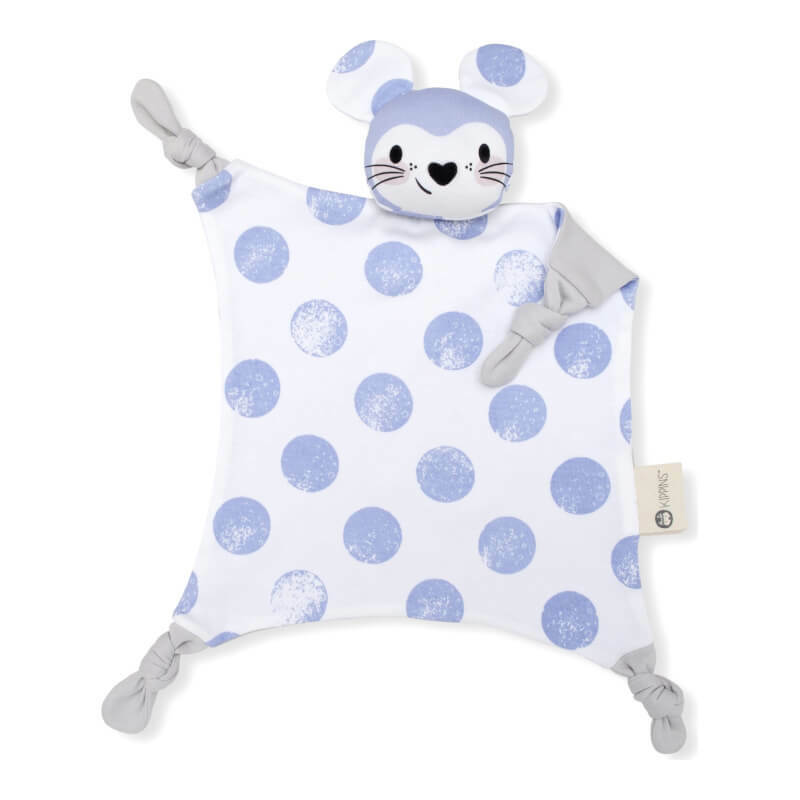 Kaloo Les Amis Praline Rabbit Doudou and Mi..
Kaloo Les Amis Regliss Donkey Doudou and Mi..
Violet-blue and white moon print mouse baby security blanket with a soft grey back. Kippins are designed using simple, bold prints that new babies love! They’re hypoallergenic and gentle on new skin – perfect for hugs and play. Let them take you to Kippi – a magical place that exists in the moments just before you fall asleep. Cold gentle machine wash. Dry naturally or tumble dry very low heat. We’re all natural so some shrinkage and fading may occur. Warm iron, when needed. Do not bleach. Do not rub, wring or soak.